I live in the Pacific NW where there is lots of wet soil and moss. 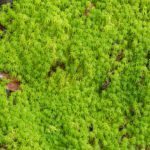 I have read a fair amount on moss and know that it grows in over wet, shady areas, acidic soil, etc. I have 1.5 acres and a large portion of that is flower beds and they are covered in moss. This is more in the front yard where I have put compost down as a top layer for the last few years. I have bark in the backyard over the soil and there is MUCH less moss there. Everyone talks about removing the moss but my area is so large, that it would be a huge project and a lot of soil to remove. I was wondering if it is fine to put a new layer of organic compost soil over the moss come spring time and then bark over that and just leave the moss under it? Or do I really need to try and remove all the moss prior to doing that. Given the large area that you are dealing with I believe controlling the moss is really the best option. Even if you successfully removed the moss (which would be impossible) the growing conditions are the same and the moss would return. Improving the conditions and lessoning the moss growth is the approach I feel you need to take.